Библия на английском языке в современном переводе. The GOOD NEWS BIBLE was the first truly easy-to-read Bible translation, and it is still the UK's most popular. In this traditional imitation leather hardback binding and with concordance it is ideal for individual reading and further study. 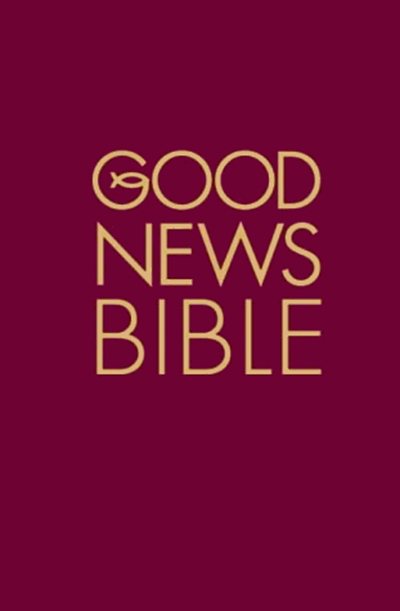 The Good News Bible was a bestseller from its first publication as "Good News for Modern Man", providing a unique combination of accessibility and faithfulness to the best Greek and Hebrew sources. It has earned the respect of a wide range of scholars for its accuracy and reliability, and because it is easy to read and understand it is suitable for people of all ages. In this hardback edition with a traditional imitation leather hardback binding and including cross references for key passages as well as a short concordance it is ideal for personal reading and study at all levels.